Honey, 100% pure and raw. 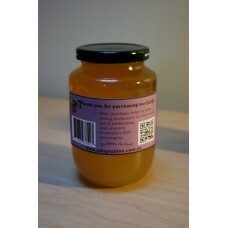 This honey is hard to resist with it’s beautiful flavour and full of nutritional and medicinal benefits. Uniquely positioned the “Adopt a Hive” program ensures our real honey is sourced from organic, biodynamic and clean farms. Bee assured when you purchase our honey you are assisting in the pollinating agricultural crops and fruit trees plus increasing the Australian bee population. All our processes are done the old fashioned way by hand. The honey is cold extracted at room temperature, in a hand turned certifuge cylinder to spin the honey from the honeycomb. Then it’s gravity strained and bottled in glass. There is no heating, processing or additives. Our honey is RAW, it’s PURE and it’s CLEAN.